Alex Braden has a philosophy about refits: When a yacht owner invests money to improve a boat, he should be able to see where virtually every penny goes. "Eighty percent of what you&apos;re doing must give a visible improvement to the boat," explains Braden, a director who handles sales and new construction at Britain-based brokerage house Yachting Partners International (YPI). "If you&apos;re rebuilding a hull and putting in new tanks, all you&apos;re doing is putting money into what people expect anyway. You&apos;ve got to have a good portion of the money going into things that the owner sees. The mechanics and the structure have to be right from the start." 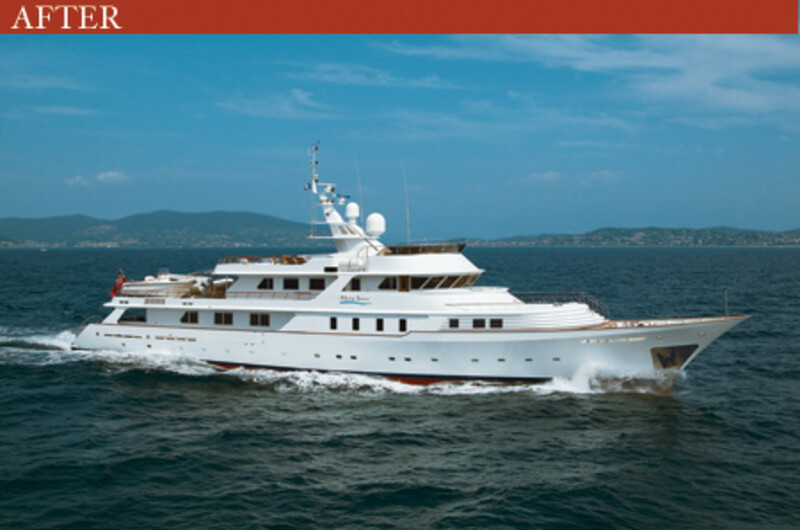 It was with this philosophy in mind that YPI recommended the purchase and refit of Shanti, a 151-footer built in 1981 by Campanella, to a first-time yacht owner in the fall of 2004. 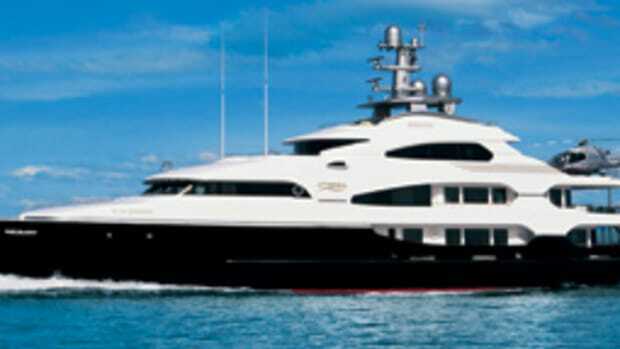 The company&apos;s brokers had toured many yachts with the man, whose high standards, it turned out, exceeded his budget. 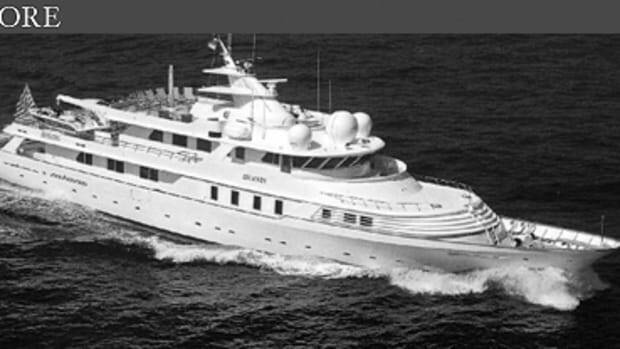 So YPI asked him to consider a refit of the less-expensive Shanti. She had a crew who took good care of her machinery, but she was otherwise tired inside and out, frankly in need of some gutting. 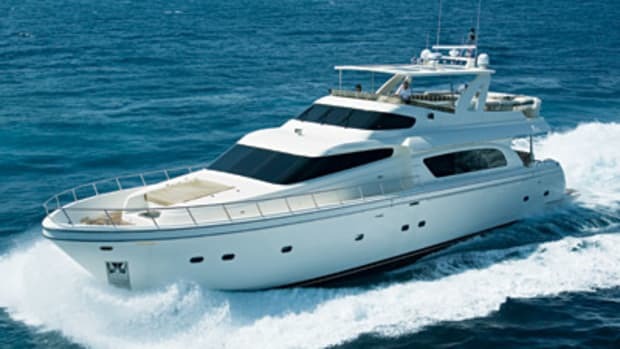 The combination of sturdy pedigree and weathered looks, in YPI&apos;s eyes, made her a good investment for the owner, who wanted to get her into the charter market quickly and at a higher rate than Shanti had garnered. Since he was new to yachting, he followed the YPI team&apos;s advice on just about everything, starting with naming a project manager. Braden tapped Allan Foot, a frequent YPI collaborator and owner of Yacht Project Associates in England, to oversee the effort. 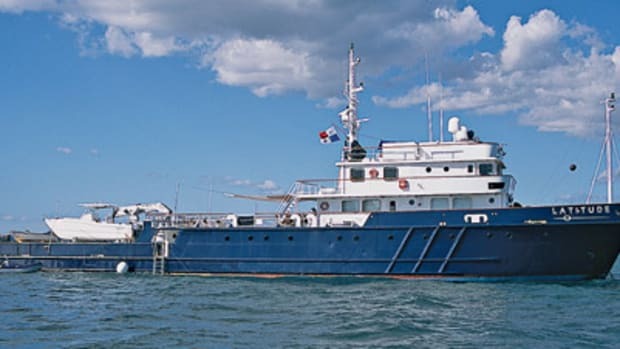 It began, at least conceptually, while the ownership-transfer papers were signed onboard Shanti as she cruised from the south of France toward Palma de Mallorca, Spain, and the Astilleros de Mallorca shipyard. 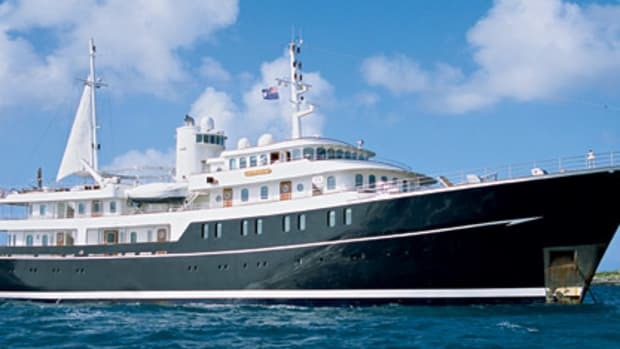 Foot handled the delivery personally, knowing every second counted if the refit was going to be done within the six-month window before the 2005 summer charter season in the Mediterranean, where the rechristened Mary-Jean was already booked. "She motored very nicely," Foot recalls. "Everything basically worked, but it was in a state. The engineer was onboard, and he&apos;s been on the boat for 12 or 15 years, and he&apos;s maintained her in a commercial way for all those years. It was well-maintained, but it wasn&apos;t beautifully maintained. We basically had to put the sparkle back into her as a yacht." 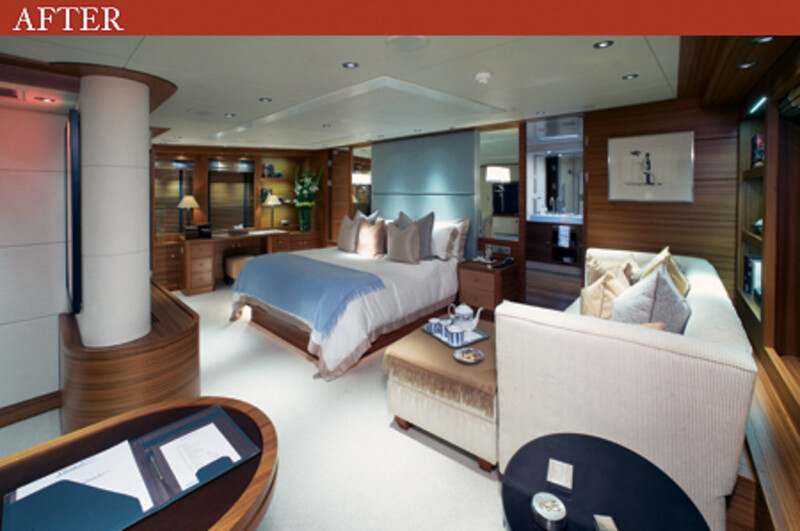 The master stateroom&apos;s sleek new looks are enhanced by the spaciousness of the cabin, situated on the yacht&apos;s main deck. 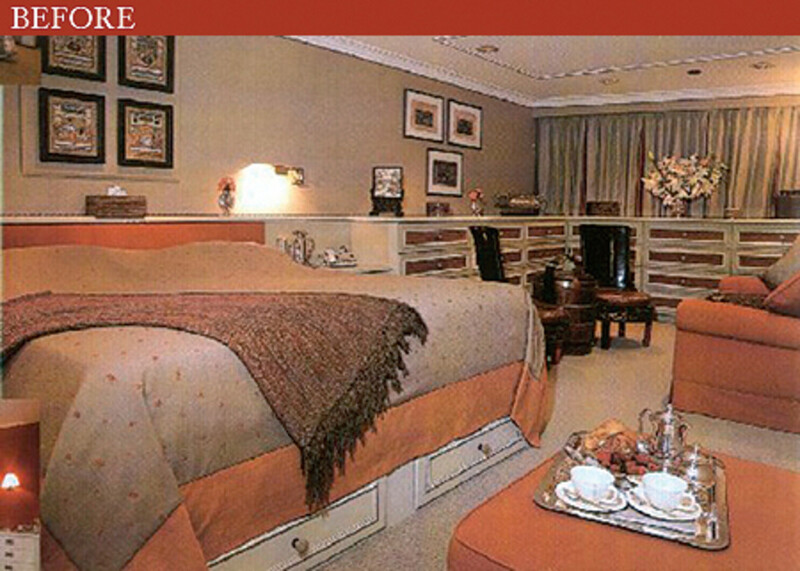 It is now a true full-beam suite, including areas that used to be crew cabins. 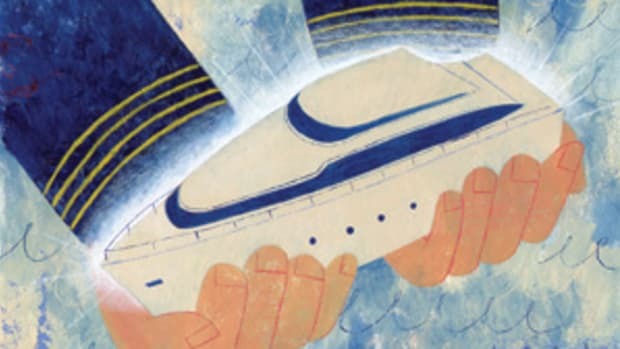 The refit team focused on six main areas, from the yacht&apos;s top to bottom: redesigning the sundeck to incorporate a hot tub and expanded lounging area; bringing the bridge up to ISPS standards (an international code governing vessel security); expanding the master cabin into a full-beam, main-deck suite; extending the transom to create a proper swim platform; redesigning the crew quarters for better usability; and updating fabrics and furniture throughout the yacht. That&apos;s no small list for a six-month timeframe, so Foot called in reinforcements. Steve Howard of H2 Design in London did the interior design work, sending his renderings to Sinnex of Steinheim, Germany, which turned them into CAD drawings and built the interior off site.